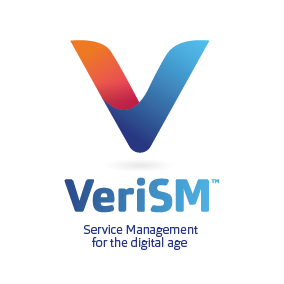 VeriSM™ acknowledges the value of what has transpired and provides you with an up-to-date approach to Service Management to make sure you are ready for Digital Transformation. VeriSM™ isn’t about just following best practice methods....it is about creating the model that best fits your organization. VeriSM™ Professional: for those wanting to further their career and learn more about how to apply the approach in practice. The Foundation level is made up of “Essentials”, covering the basic model and service management principles, and “Plus”, covering the progressive practices. They be taken as separate certifications. WHO'S THE VERISM™ FOUNDATION CERTIFICATION FOR? VeriSM Foundation is for anyone who works with (or wants to work with) products and services enabled by technology. It’s an ideal entry level for those wanting to work in IT, service management or with digital services. VeriSM is also suitable for managers, teams or staff who are involved in delivering value to customers through the development, delivery and promotion of services, even if they are not IT professionals. A Value-driven approach, as it looks at Service Management from an end-to-end business perspective. Evolving, as it is an up-to-date approach which will continue to evolve as new practices and technologies emerge. Responsive, as it facilitates a tailored approach by helping you define the management mesh most suited to your organization. Integrated, as it helps you make sense of all of the different practices and understand how they can fit together to add value. 22 easy to absorb lessons covering the VeriSM model, innovative technologies, progressive practices, the service organization, service culture and people and organizational structure. Exam Language: Extra time is available for non-native English speakers.